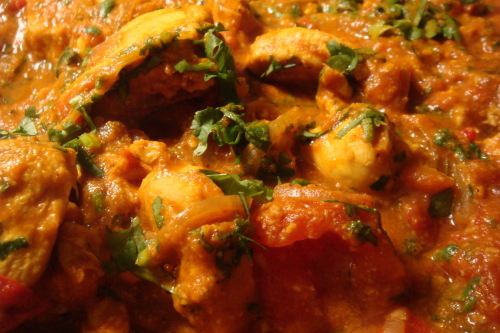 Lean chunks of lamb cooked in a spicy curry sauce of ground onions, garlic, ginger, tomatoes, and seasonings. Lamb booked in a fiery vinegar flavored sauce. A speciality from Goa. Chunks of lamb cooked with tomatoes, onions, fresh herbs and spices. A delicacy from Punjab. 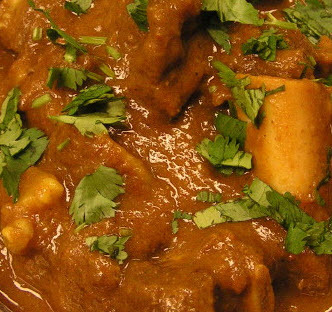 Tender boneless lamb pieces cooked with ground onion, ginger, garlic, aromatic masala, and potatoes. From Royal kitchen of Patiala State. Cubes of lamb cooked in a creamy sauce and garnished with almonds and fruits. A specialty of Kashmir. Tender lamb pieces cooked with chopped creamy spinach and traditional spices. Pieces of goat meat cooked in a curry sauce with a blend of spices.